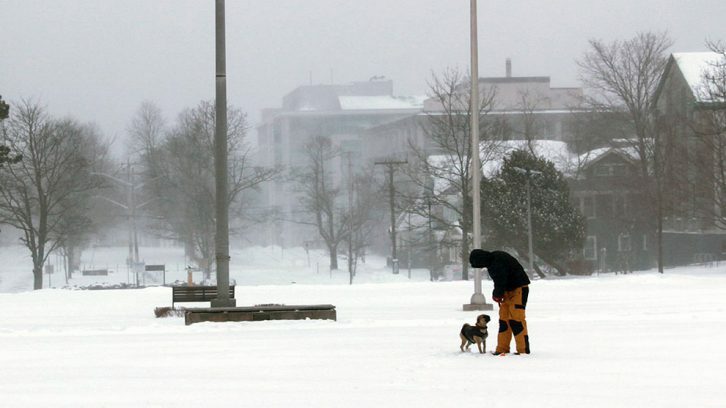 Many people in Halifax stayed home Wednesday as snow, high wind and freezing rain swept through the region, triggering closures and cancellations. Environment Canada warned people in the area to expect snow and wind gusts reaching up to 80 km/h. The combination creates whiteout conditions. Halifax Regional Police reported no vehicle collisions early Wednesday morning but cautioned drivers to be careful on the roads. No collisions so far…. Please help us keep it that way. Drive to the road conditions and take extra time and caution if you have to be out on the roads this morning. A number of flights at the Halifax Stanfield International Airport were cancelled or delayed. 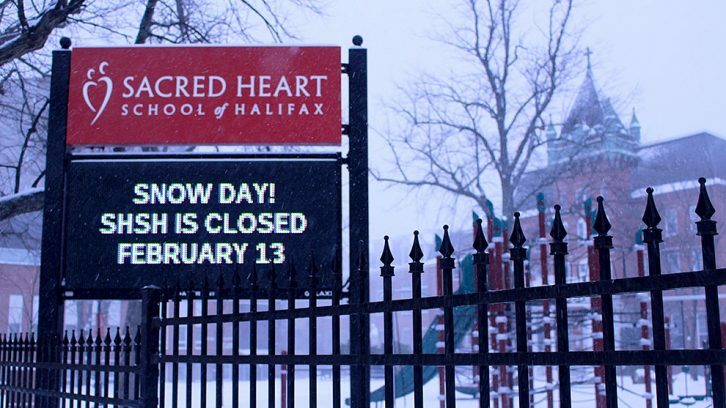 All public schools in the Halifax Regional Municipality are closed, and universities across Halifax have cancelled classes as well. Not everyone gets the day off, however. Some Halifax Transit lines operated on a snow plan, but all buses returned to regular routing Wednesday evening. Route 22 has returned to regular routing. Nova Scotia Power reported two outages in Dartmouth around noon, affecting fewer than 10 customers. Company officials said they had crews staged across the province in the event of more power outages. Environment Canada forecasts periods of drizzle and fog for the Halifax area Wednesday night. For anyone caught outside in the cold, the Warming Centre at St. Matthew’s United Church on Barrington Street is open from 8 a.m. to 8:30 p.m. The municipal overnight winter parking ban will be enforced from 1 a.m. to 6 a.m. so crews can clear streets and sidewalks.